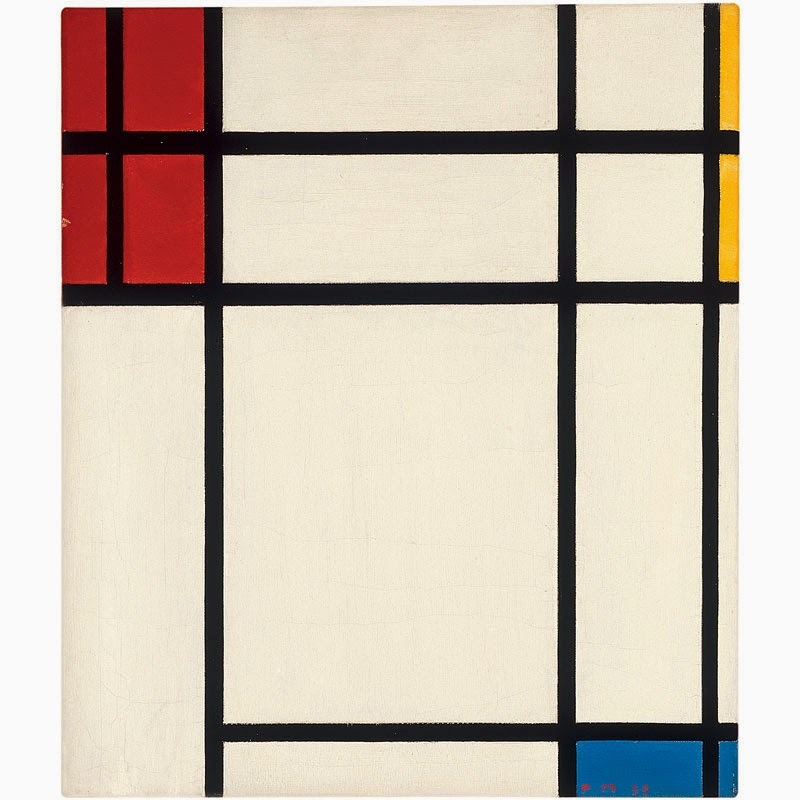 A proponent of the De Stijl movement in the early 20th century, Piet Mondrian loved simplification, both in his painting composition and in his life. Perpendicular lines were his vice, and rumor has it that his easel was rendered unusable since it was positioned at a 90 degree angle from the floor. I could use some simplification in my life. See my previous Mondrian post here. 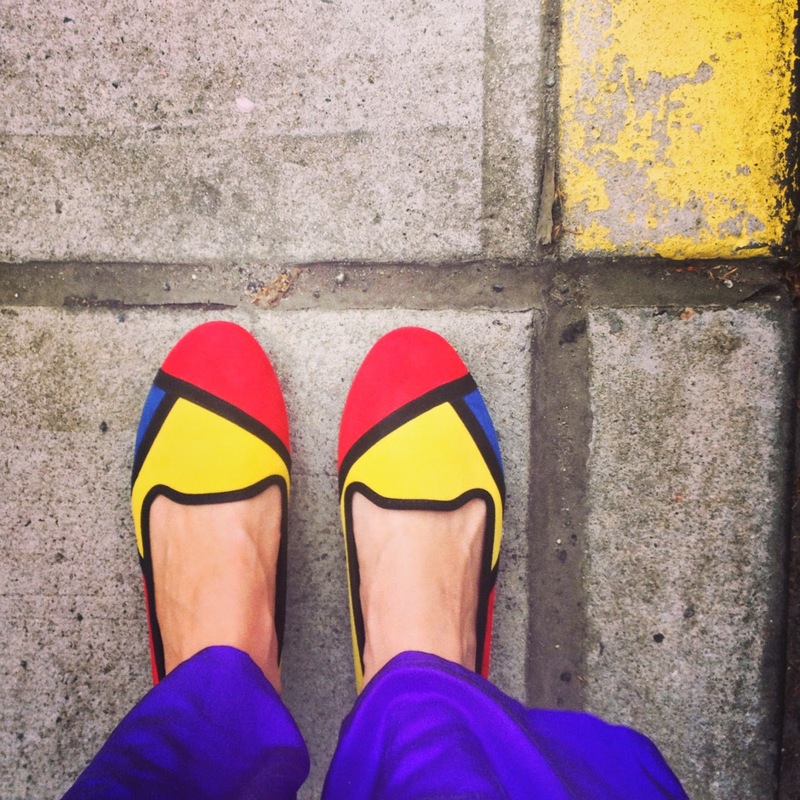 Mondrian image from moca.org; shoe photo by me.